Crime Clusterf@$k/Political Pantomime 21mts, 26dys: Jack is Back in the Pack! We know yuh come for Pure, for Pure, for Pure, for Pure! Well The Express big story today is Jack is back and in charge of PURE again! This man have more lives than a cat. 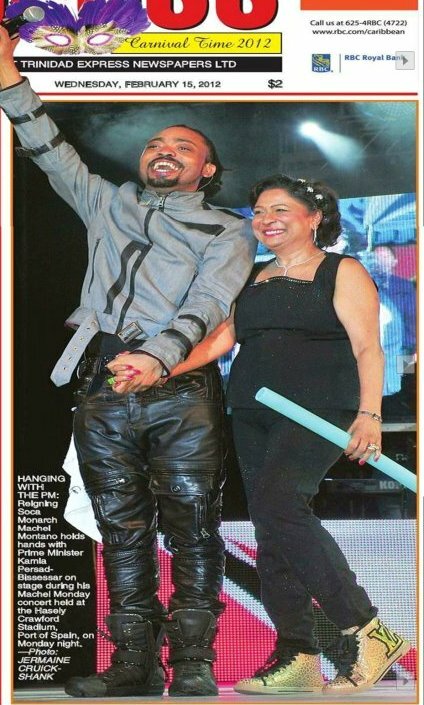 In light of the nationwide protests over roads and road works the PM has brought back Jack into her good graces to fix the roads and end the protests.....Super Jack to Kamla's rescue.....So where the report on the PURE Audit report Aunty Kams? How come you remove Pure from Dookeran and put it back under Jack? We did hear that the head man of the Cabal, Chandresh Sharma was supposed to get responsibility for PURE. So how come yuh mind change? Well Marlene Coudray causing real kuchoor. COP up in arms over the poaching and vex to buss. Jack Warner say leave he out of that! he wasn't there for the christening, he dont want to be there for the funeral! Jack I endorsing that boy! Prakash Ramadhar trying to sound firm, but not too firm...because I think he fraid if he upset the Rani he might loss he Government Wuk.....so he saying that the poaching act could...maybe....might...affect the Partnership! Lawd Prakash...grow a pair nah! Your party suffering in this partnership and you still holding onto to power instead of your dignity and integrity?????? In more 21st Century policing news...remember the SoE? The 107 days that Kamla and her Deck of Jokers shut down the country and take away our citizens rights to "ketch big fish"? Well of the 8000 plus people detained only 1,075 have actually been convicted. And sandy didn't specify for what....but I imagine is outstanding warrants, men who aint pay their child support or were wanted for miscellaneous petty crimes...if was anything big we woulda see Anand, Kamla and Sandy on TV beating their chest and calling the SoE a success so that their sheeple could bleat hard all over the place, "Look, the SoE worked. See how great our Queen is! Honour her!" On the crime front there have been several murders in the last 14 days, the most recent is a drive by hit, in Arima. 21st Century Policing and the SoE haven't put a damper on such killings....and we still aint have NO CRIME PLAN! What we do have is a bunch of big spenders and liars....it is alleged that Kamla's pricey Louis Vuittons may have been paid for with the Govt Travel Card and the take-in-front-justification is that she lost her luggage and needed to replace her wardrobe...tell me folks, what official event Kamla would have to attend wearing Louis Vs? The Beatles was performing in London? 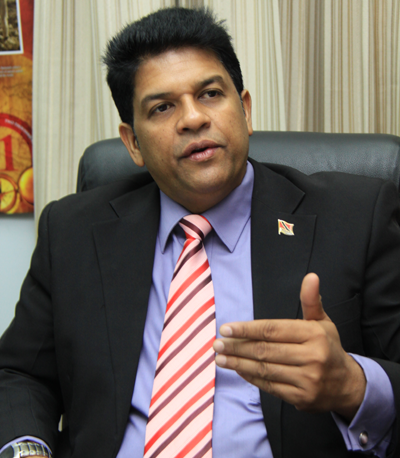 Fitzi Hinds also intimated in the senate that some very good friends of Tim Goopeesingh are benefitting from contracts under his ministry....more details to come as I get them. The lying, nepotism, corruption, abuse of public funds continues...and the fanatics of this government continue to support them...finding all kind of reason to justify abuse of public office. Some supporters of the PM have even excused her paying her "travel assistant" sister with public funds as good family values and have protested that people who have a problem with this are "racist" because the PM was following protocol. Colour me flabbergasted! Our politicians are treating governance like a small business, and the treasury is their petty cash drawer. Ralph Maraj hit the nail on the head in a recent commentary. Our nation is suffering a terrible blight with leadership. My shorter version simply is: De Vice Cyah Done!